With Naventic entering the Halo scene this late in Halo 5’s lifetime, what are the orgs plans for the future? After the closing of Oxygen Supremacy on Aug. 7, its Halo Championship Series (HCS) Pro League team was left without a home. With a pro league spot up for grabs, esports organization Naventic decided to take advantage of the opportunity and purchase the team—thus allowing it to embark on its journey into competitive Halo. Prior to their acquisition by Naventic, and their qualification for this season’s pro league—thanks to their win against Str8 Rippin at DreamHack Atlanta on July 22—the team dominated the amateur scene, winning four straight open circuit cups. Dot Esports talked to Naventic Owner and CEO Rolando “Rolend” Flores and Operations Manager Shawn “Unit” Pellerin about their recent acquisition of Oxygen Supremacy’s former team and their ambitions in the Halo scene. Why are you entering Halo? Unit: We have had our sights on Halo for some time, given the acquisition of Naventic [the purchase of Oxygen Supremacy’s former Halo team], we felt now is the perfect opportunity to enter the scene. What made you sign this roster? Unit: Ex-Oxygen Supremacy had dominated the Amateur Halo scene and had an amazing journey into the Pro League. We have no doubt the team can perform at the level of the top teams within the Pro League. Is this a long-term investment in the Halo scene? Rolend: Yes, Halo is an iconic game. 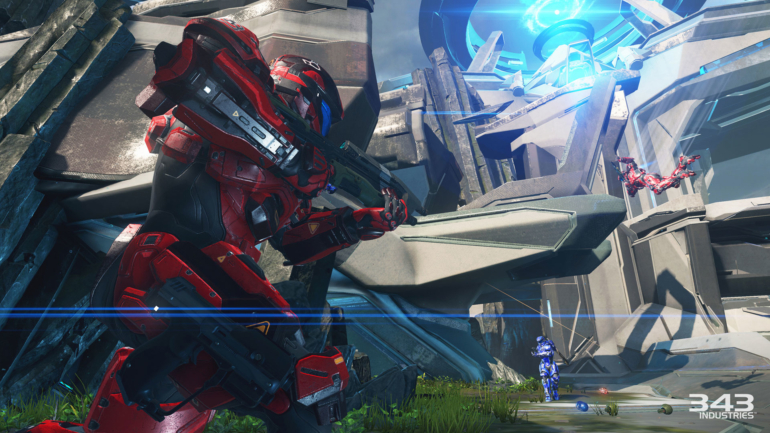 We’re looking to stay in Halo for years and years to come. Do you plan on building a content team around Naventic? Rolend: We are currently working on our content strategy plan across the board as we close out the year. We have big plans for 2018, which we will be releasing more information on throughout our social media soon. Naventic’s next pro league match is today, when they will go up against Team EnVyUs at 4:30pm PT (7:30pm ET).